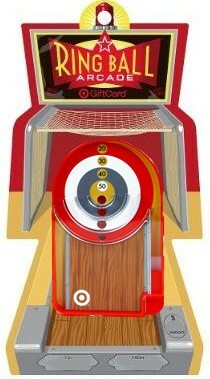 Oh, I loved Skee Ball as a kid (well, I still do). So cute! Thanks for always posting such great finds at Target. They have helped me out so much! I already like you on Facebook…keeps me up to date quick! Eeek this looks like fun! I’m in to win! Thank you! I would LOVE to win this, thanks for the chance and another great giveaway! Thank you so much for all the information. Every week I learn something new. A gift card would be great! I would loooovvveeeee to win it!!! cute gift card i would really love to win! I love this card! I love that it’s a game you can play too! How cool is that!!!! I “like” Totally Target on Facebook!!!! I “Like” Totally Traget on FB! Thanks!